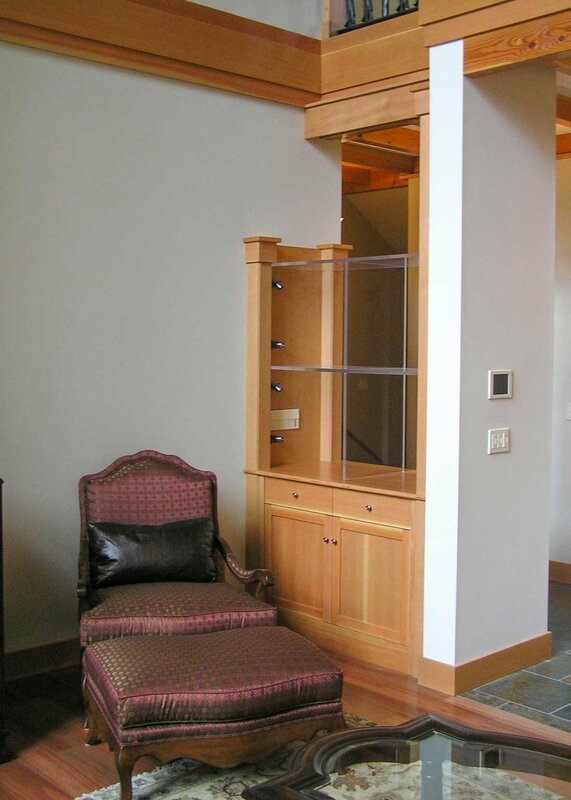 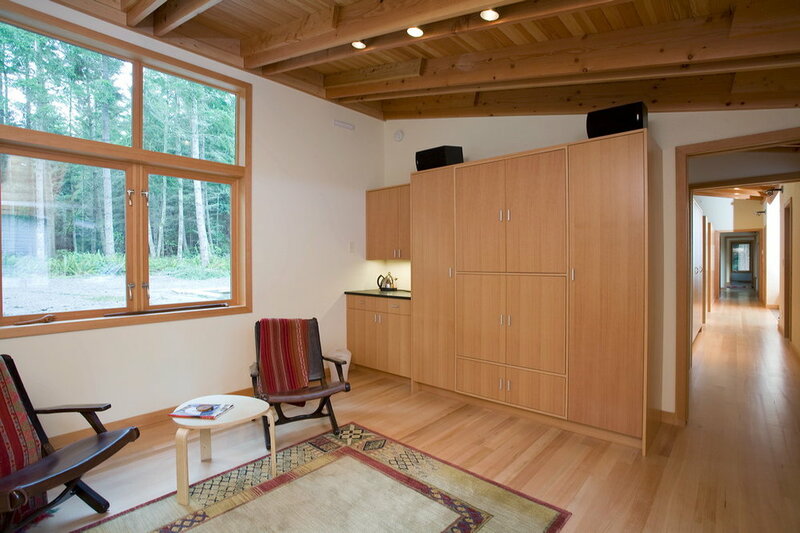 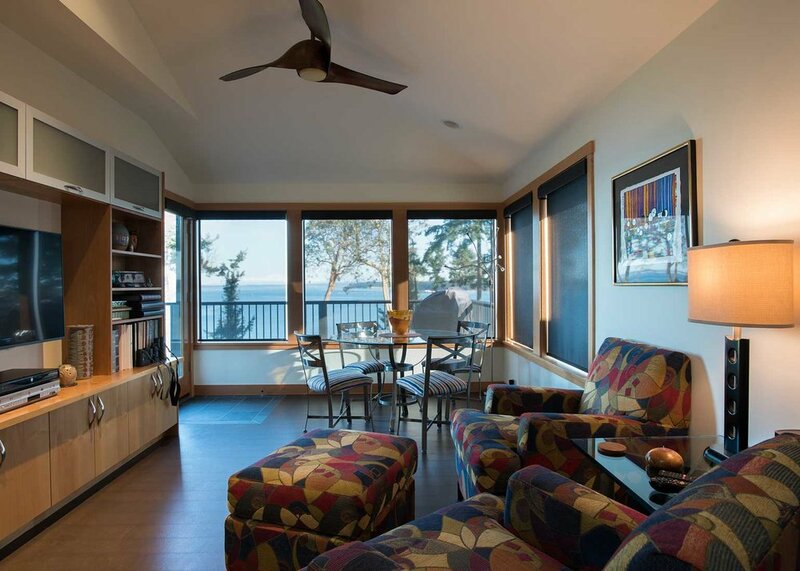 Custom Built-Ins for Living, Dining, Kitchen, Bath, & More. 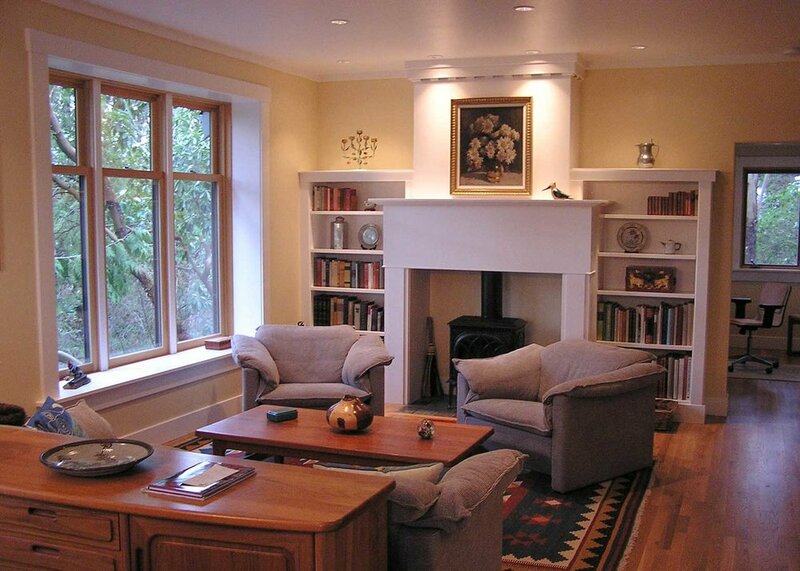 The Rosenburg House is a beautiful example of the many types of detailed woodwork in which Kimball Woodworks excels. 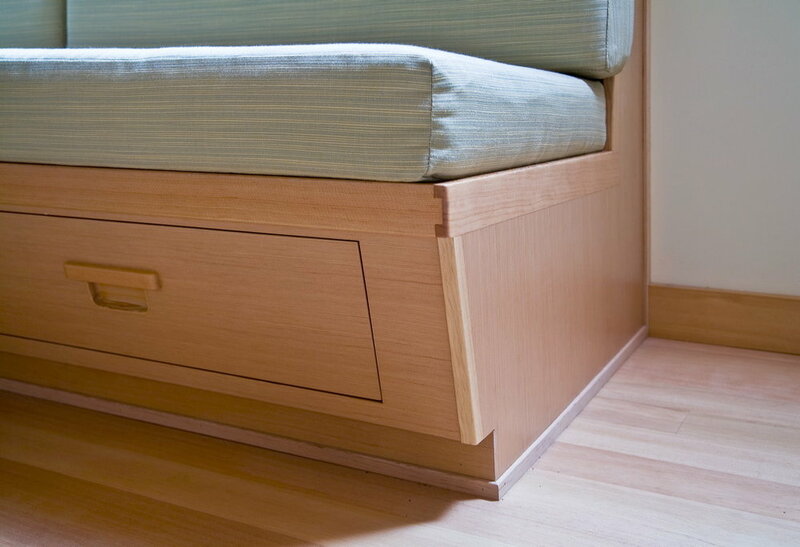 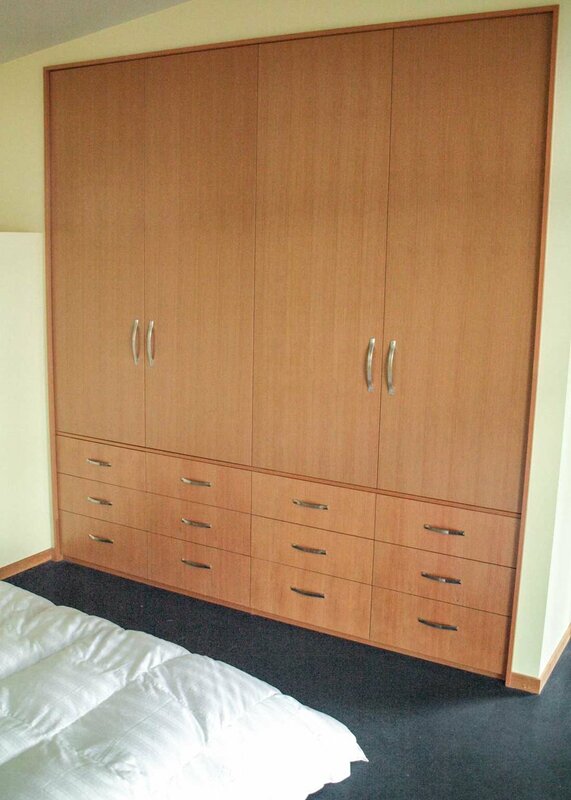 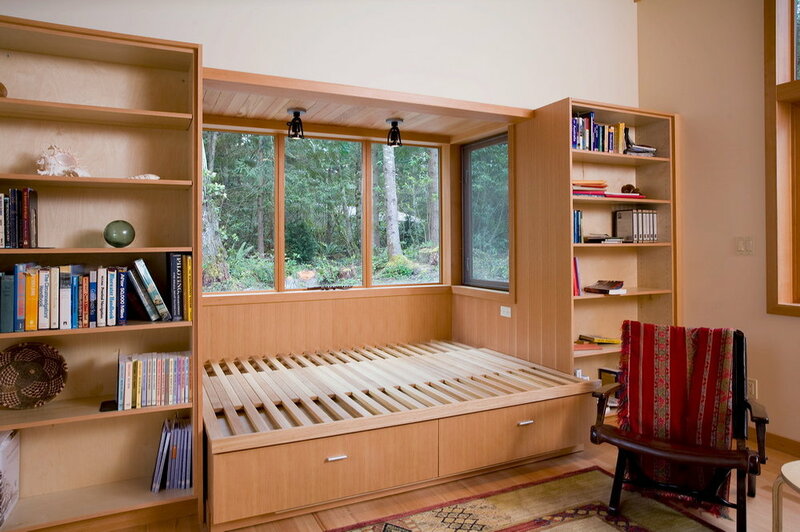 We designed and built custom cabinets, built-ins for storage, bookcases, custom furniture, and more. 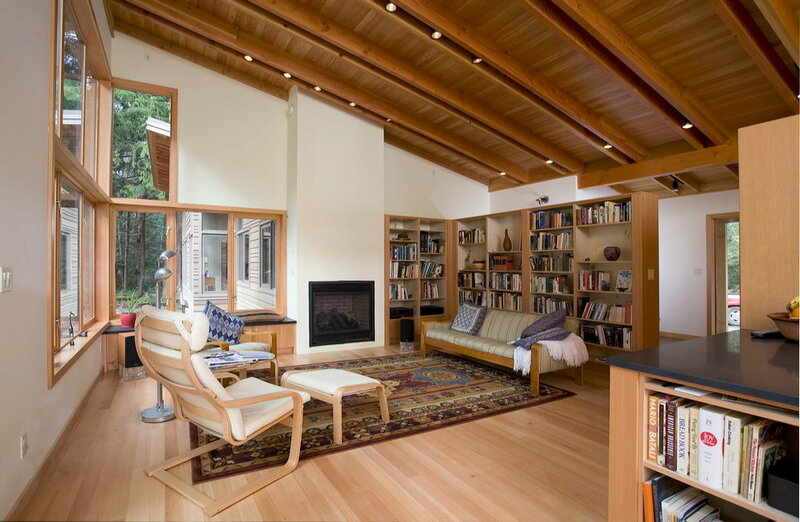 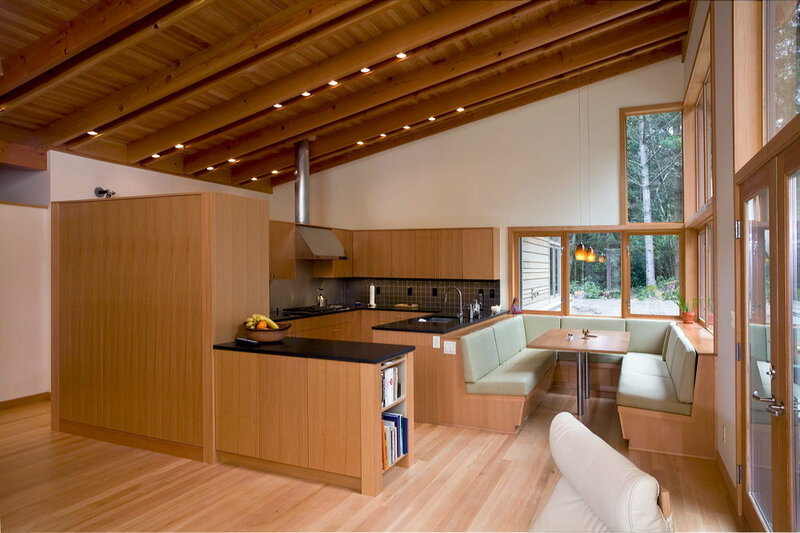 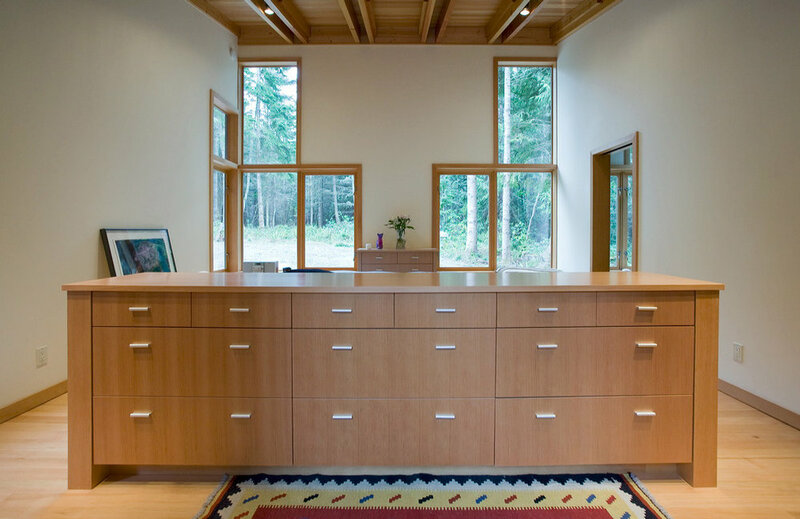 You can see the attention to detail and craftsmanship work in the more finite details such as the dovetail joinery in the kitchen benches and the Douglas Fir wood.